Summer weddings are especially fun for Ties by Lucy! With bright colors, wild designs, and linen fabrics, there are endless possibilities for wedding ties. Ties by Lucy groomsmen's ties make the perfect statement and can really add to the overall wedding party feel. However, even if you're just a wedding guest, Ties by Lucy ties are for you as well! 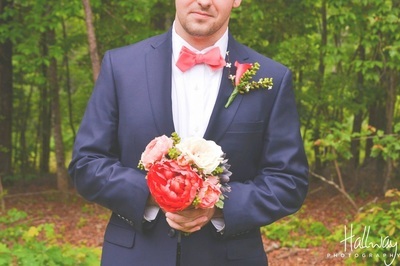 We are so happy to share some of the great pictures of customers in their wedding ties! View more by scrolling over the "Gallery" tab and selecting a wedding. For inquiries on wedding ties or other bulk orders, fill out the form on the "Contact" tab or email tiesbylucy@gmail.com.